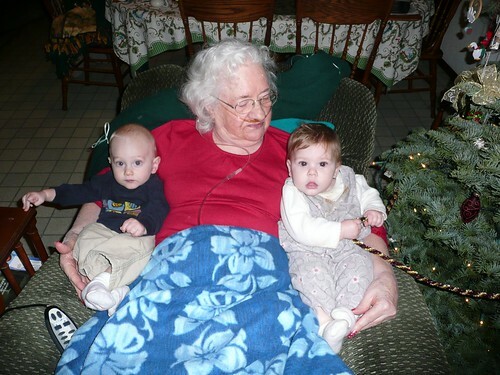 Grandma Jean, We LOVE you so much! How I miss the days of living next door to this dear lady! You could go over at almost any time of the night (say before 12am) and Grandma was ready to challenge you to a game of Aggravation, or Chicken Foot. In fact I think it’s safe to say, Grandma was the Chicken Foot Queen! 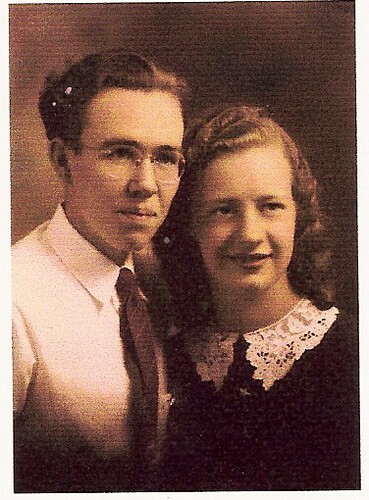 Thinking about my sweet grandma today. My auntie called mom today to say that Grandma is slipping. We don’t know when but it looks like she may not recover this time. 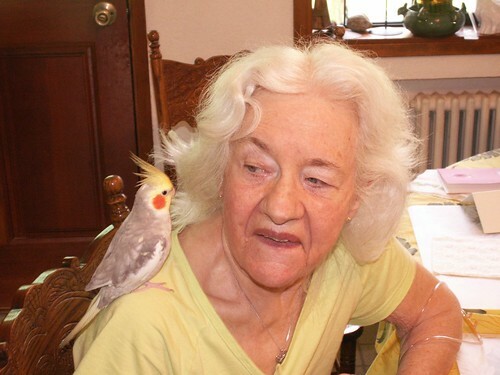 Going to head down tomorrow to possibly say our final goodbyes to this dear sweet woman. I have so many thoughts and memories filling my heart, I know I’m not the only one of her loved ones (11 children and their spouses, 40 living grandchildren, and 86 great grandchildren, not to mention the possible other hundreds of other “adopted grandchildren” who call her “Grandma Jean”) who has been thinking a lot about her especially lately as she is in her final days here on this earth. I’m so thankful for the pictures that help to bring those sweet memories of her back into clear vision, so much so that at times when I look at her pictures I can hear her laugh, see that warm loving look, see the deep compassion in her eyes as she weeps for a loved one. She is a treasure. Did I mention she loves children? 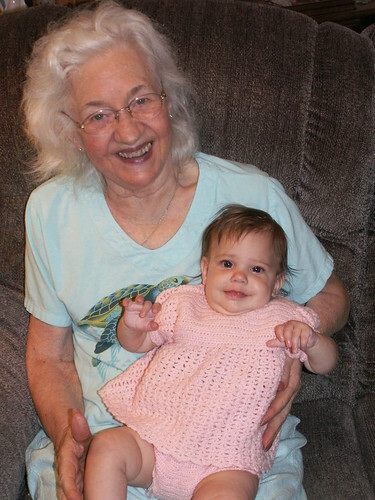 Here she is holding my little Guenna, who is wearing a dress that Grandma made for me when I was a baby. 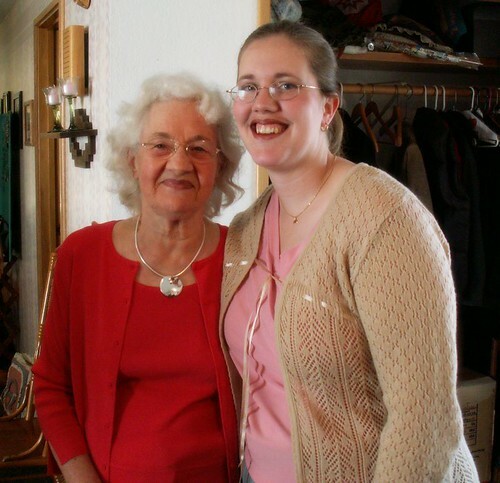 I am pretty certain that I inherited a deep fondness for children from this dear lady. She had 11 children because she LOVED kids, and I don’t really think she cared what anybody else thought of her for wanting to have so many children. And her love has been proven through the years, though her body is weary, her many many years of loving has grown into children and grand and great grandchildren to nurture and hold her hand as she prepares to meet her Lord. What an investment. She was a wise woman who toiled not in vain. Pretty sure that grandma would agree that the only thing that is better than one baby, is two or three or four babies! 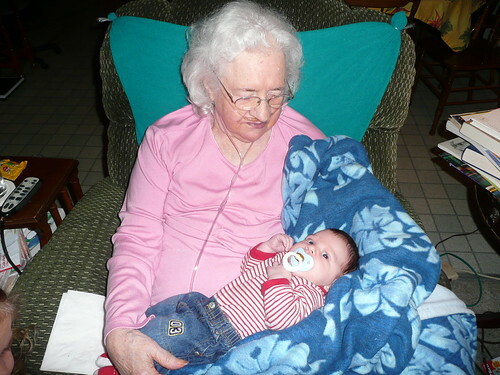 :) This is a picture of Grandma with our little Caitriona Jean (named after Grandma) and my brother’s little Ellis born just a couple weeks apart. 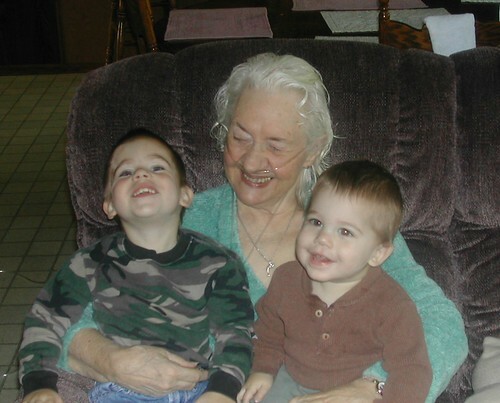 Grandma holding Aidan and Eamon when they were little. I’ve always loved bringing my babies over for Grandma to see, because I know that she appreciates their beauty, their cuteness, their little chubby legs as much as I do. I feel like a little kid bringing home a trophy I just won. Here she is meeting our little Connor boy! 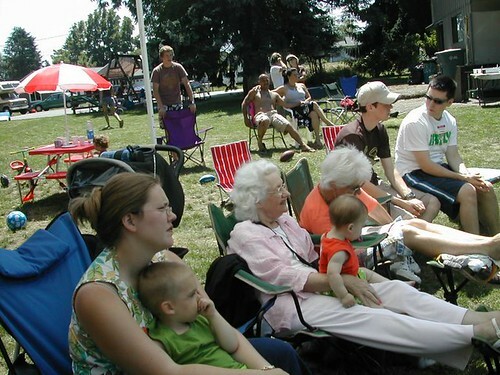 4 Responses to Grandma Jean, We LOVE you so much! We all brought our babies over for her to bless. I wonder how many births she has witnessed, how many babies she had loved on. Bittersweet times saying goodbye to my remarkable mom. I would have loved to have her attend even one of my births, I bet she would have loved it too! :) She’s loved and she’s getting all those years of love heaped on her overflowing in these last days.